Have you ever been to Garibaldi on the Oregon Coast? Lucy Chien, who grew up in Oregon, but now lives in San Francisco, recently won Smithsonian magazine’s annual photo contest in the “Natural World” category. She and her husband were clamming on the beach at Garibaldi on the Oregon Coast when she was inspired to place one of the clams on a rock in hopes of getting a good picture. The clam opened its shell and began to push itself off the rock. That’s when Lucy got the prize winning shot. Garibaldi is tiny port on the shore or Tillamook Bay. 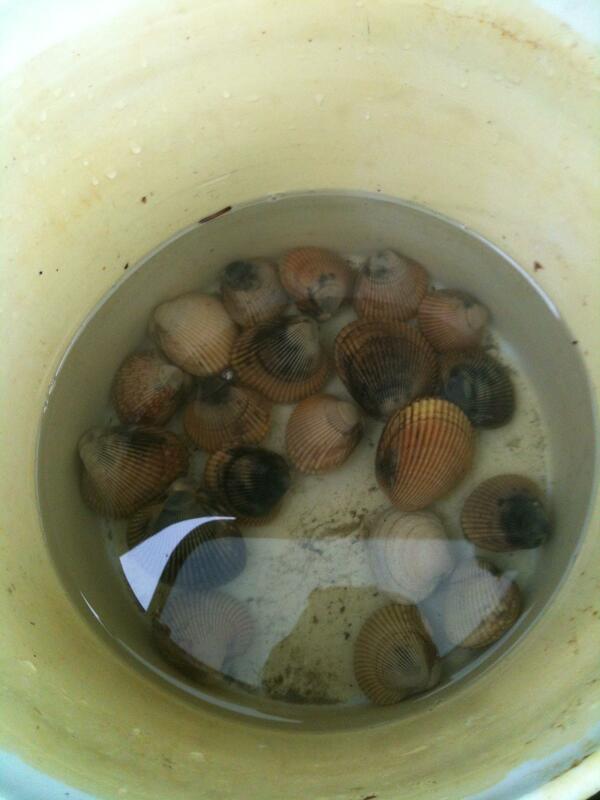 Five types of clams can be found here: butter, cockle, gaper, softshell, and razor. People over 14 years of age need to buy a license, which currently costs only $7.00. That’s for an entire year of clamming and crabbing! Clamming is not the only activity on its quiet beaches. You can also fish from the shore, go crabbing, or charter a fishing boat and go deep sea fishing for halibut, tuna, or salmon. There is also terrific salmon and steelhead fishing in the streams that empty into the Bay. Almost anything you want for clamming, crabbing, or fishing can be rented in Garibaldi. Clams dug from the flats on a low tide adjacent to the Garibaldi Pier and historic Coast Guard station. There are four motels in Garibaldi. Garibaldi House, a 50 room motel, has been the recipient of Tripadvisor® Certificate of Excellence Award in both 2010 and 2011! It has the friendly feeling of a good bed and breakfast. This is a great place to make the center of your vacation. The ocean activities are not the only recreation available in Garibaldi. There are some wonderful spots for bird watching. Migratory birds stop on their way going north and south. However there are many species of birds that make their home year-a-round in this area. Some of these are bald eagles, gulls, falcons, and blue and green heron. One of the surprising things that you will find in Garibaldi is the Garibaldi Museum. The Garibaldi Museum attempts to conserve the maritime heritage of the Pacific Northwest. It especially focuses on Captain Robert Gray and his historical vessels, the Lady Washington and the Columbia Rediviva. The museum contains models of the two ships, as well as, reproductions clothing and musical instruments used by seamen. Only ten miles to the south of Garibaldi you will find Tillamook with the famous Tillamook Cheese Factory and the Tillamook Air Museum. A short distance to the north you will find the charming town of Cannon Beach, with Haystack Rock that dominating its beach. There are so many activities located in and near Garibaldi that you cannot take them all in during a single trip. For more great information about Garibaldi, Oregon check out these additional articles.